I've had the pleasure of working on the sound design team for Ricardo Gamboa, Reshmi Hazra Rustebakke, and Robert Stockwell's project "Brujos," a queer of color web series. The first season is a beast and worth your steaming. Check out Vice exclusive here. For additional updates, visit Brujos TV and OPEN TV - beta. Social Music explores a history of Cognac within the cultural contexts of music and contemporary entertainment. First introduced to black soldiers by the French during the World Wars, Cognac has since been embedded in popular culture from the speakeasy to the club. The spirit has experienced a revival through celebrity branding endorsements, marketing an image of coolness with musicians like Miles Davis, among many others. When the late great Miles Davis was asked about his contribution to popular music and the genre dubbed as “jazz,” he replied “I don’t like that word jazz...I think social music. Social melodies in the air.” Inspired by his resistance to genre categorization, Social Music expands on this notion of popular music in relation to club culture, spanning decades and generations of musicians. This project premiered as a program of artist Edra Soto's Open 24 Hours, presented by the Museum of Contemporary Art Chicago. For more information, visit Open 24 Hours and MCA DNA Blog. VOX POP Playlist selections draw from social movements that grapple with the impact of colonization, the war on the poor, voting rights for the disenfranchised, the prison industry complex, identity pride, the struggle for freedom and sovereignty, and are juxtaposed with patriotic songs and historical speeches. The playlist is reflective of socio-political climates from the 60's to current day, featuring the likes of Angela Davis to Bomba Estereo. This project is presented by artist Aram Han Sifuentes, the Jane Addams Hull House Museum, and the Museum of Contemporary Art Chicago. For more information, visit Official Unofficial Voting Station: Voting for All Who Legally Can't and MCA DNA Blog. 6018North's "Bling, Bling" exhibition is a sensorial, experiential space that highlights art’s connection to spectacle, self-expression, and luxury curated by Tricia Van Eck. My sound installation and performance of deejay sets in the disco room explore club culture, the contemporary landscape of mass mobilization, and it's subjectivity as a commodity of popular culture. A selection of reworked (remixes, mash ups, etc.) songs become messaging, conventional entertainment, and an exercise in dance floor politics. 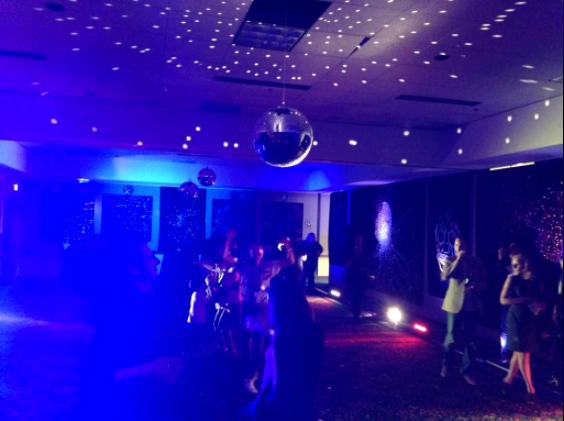 Read more about the disco room in blog by featured artist Lise Haller Baggesen. 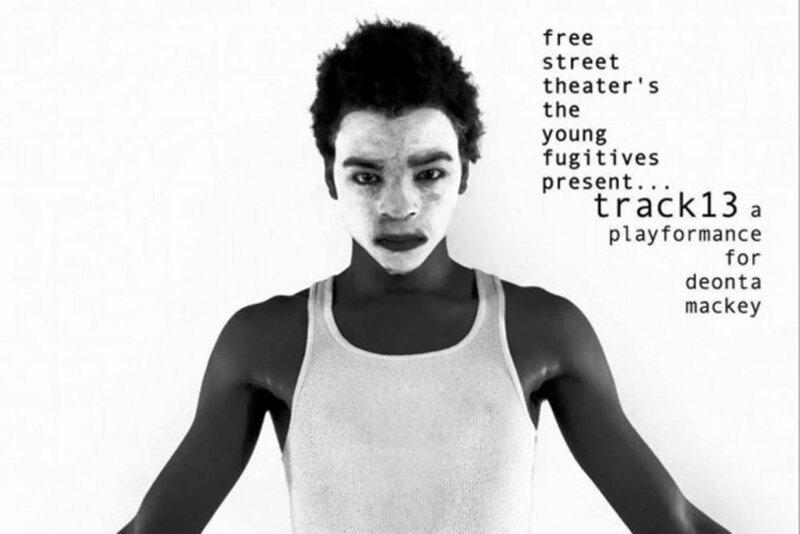 Created by director Ricardo Gamboa and The Young Fugitives, Track 13, The Deonta Mackey Project offers a critical response to the life and death of Deonta Dwight Mackey, a 16 year old shot to death in February of 2014 during the attempted robbery of an off-duty Cook County Sheriff. While the vast majority of coverage of this story figured Mackey as yet another “Chicago kid-turned-criminal,” emphasizing the officer’s right to self-defense, the Young Fugitives used theater as an artform to investigate how this case fits in to the larger history of crime and policing in Chicago and as an insertion to the #blacklivesmatter activist movement on an academic level. I worked with the ensemble to create this sample-based score for movement-based theater choreographed to sound.